One in four younger U.S. Muslims said in a poll that suicide bombings to defend their religion are acceptable at least in some circumstances, though most Muslim Americans overwhelmingly reject the tactic and are critical of Islamic extremism and al-Qaida. "It's not an alarm. 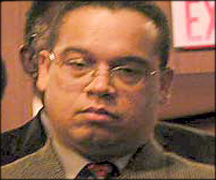 Nothing to be alarmed about..."
Keith al-Ellison: "Don't Worry, Be Happy!"